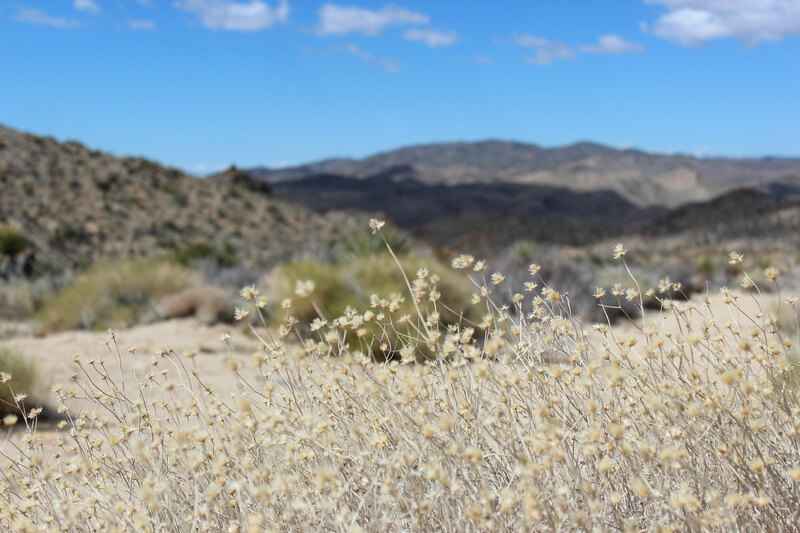 Joshua Tree National Park gets its name from the Dr. Seuss-like Joshua trees that can be seen through much of the park’s higher elevations, but that’s not all there is to see in this massive 790,636-acre park (Perspective: that’s larger than the state of Rhode Island). 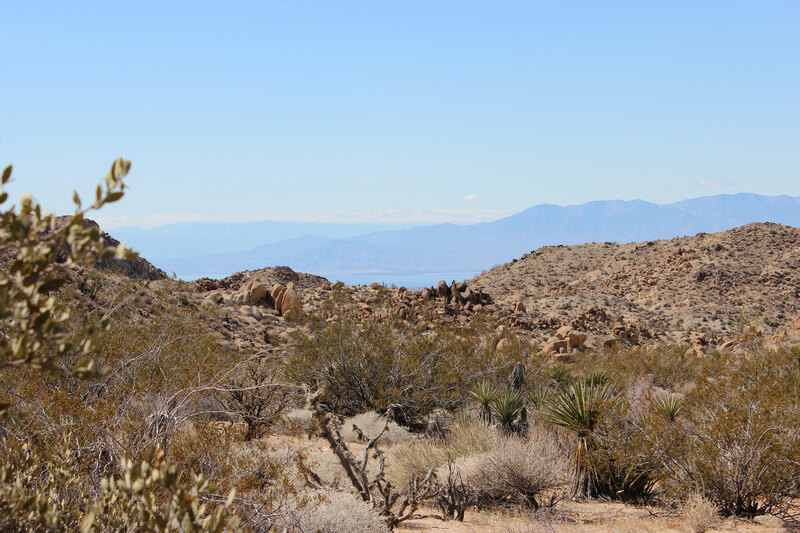 On this hike near the southern park entrance, you won’t see any Joshua trees, but you will see views of the Salton Sea and Eagle Mountains, two oases, some amazingly diverse flora and, if you are lucky, a jack rabbit or bighorn elk. 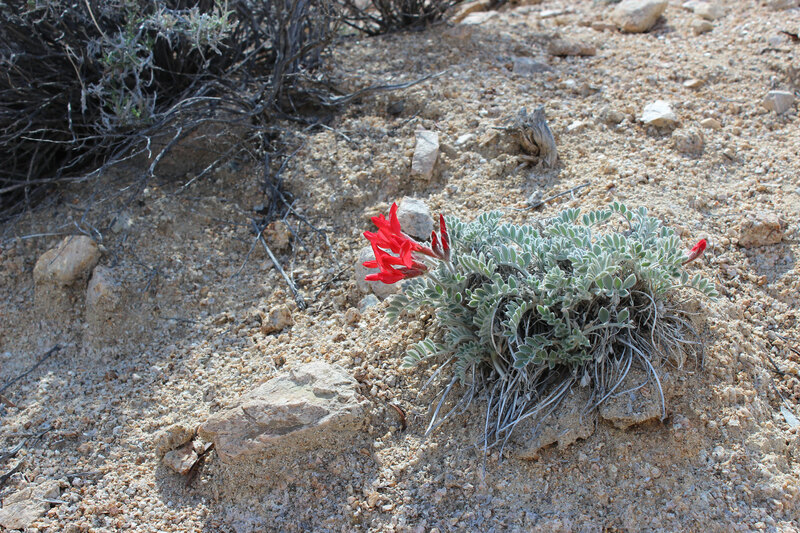 If you can make it in the spring when wildflowers are in bloom, you’ll be in for a treat along the route. 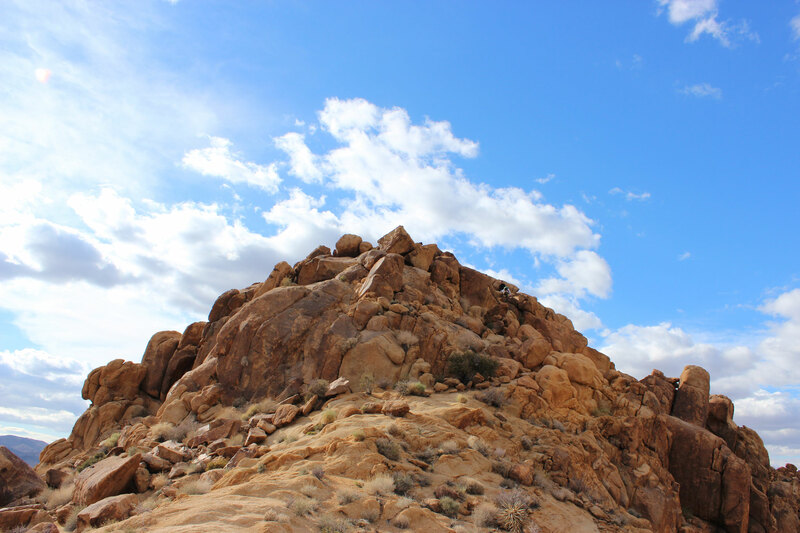 And to top it all off you’ll bag a peak and get a couple rock scrambles in — one down into Lost Palms Canyon to see the Lost Palms Oasis and the other to the top of Mastodon Peak at an elevation of 3,371 feet. 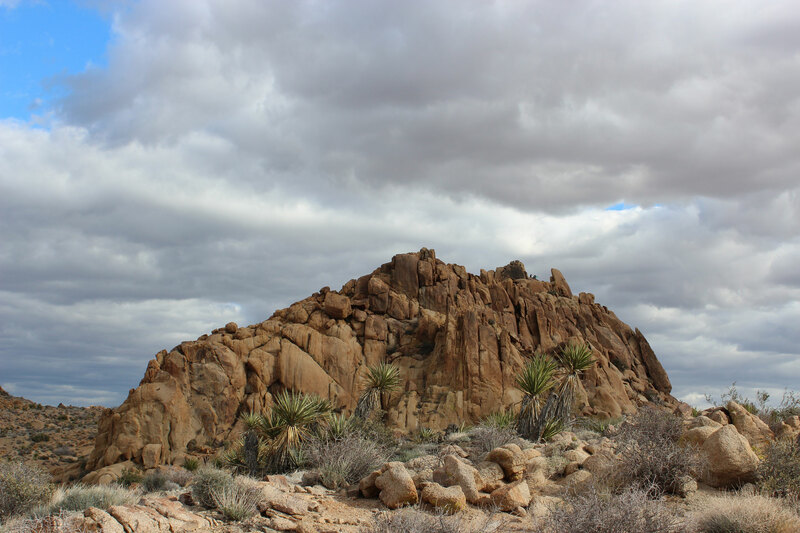 This hike is primarily an out-and-back with a slight deviation on the return to go to the top of Mastodon Peak and the old Mastodon Mine site. 1. You’ll start your hike from the Cottonwood Campground parking lot. The trailhead is at the northeast edge of the campground. This map will give you an idea where you need to head to catch the start of the trail. 2. Follow the sign toward Lost Palms and Cottonwood Spring. Keep an eye out for jack rabbits that frequent the campground and surrounding areas. 4. 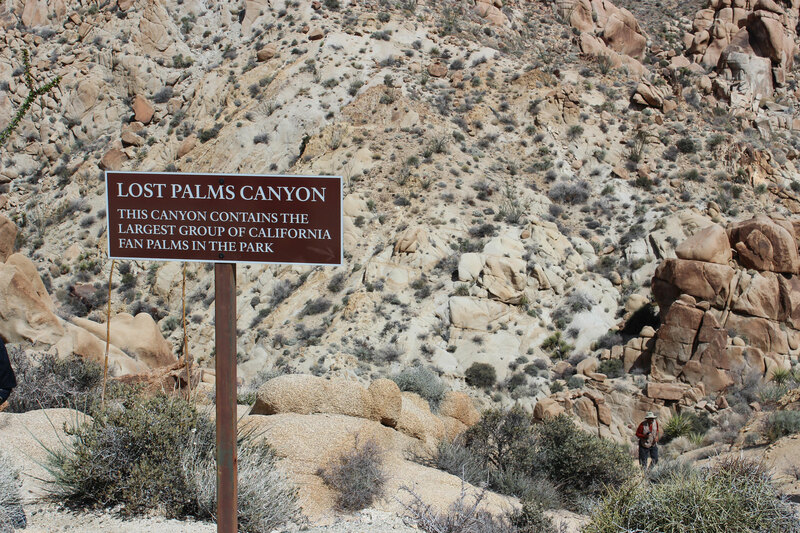 After passing through the Cottonwood Spring Oasis, you will continue southeast following signage for Lost Palms Oasis. Don’t take the turnoff for Mastodon Peak just yet; we’ll catch it on the return trip as an alternate route back to the parking lot. 6. 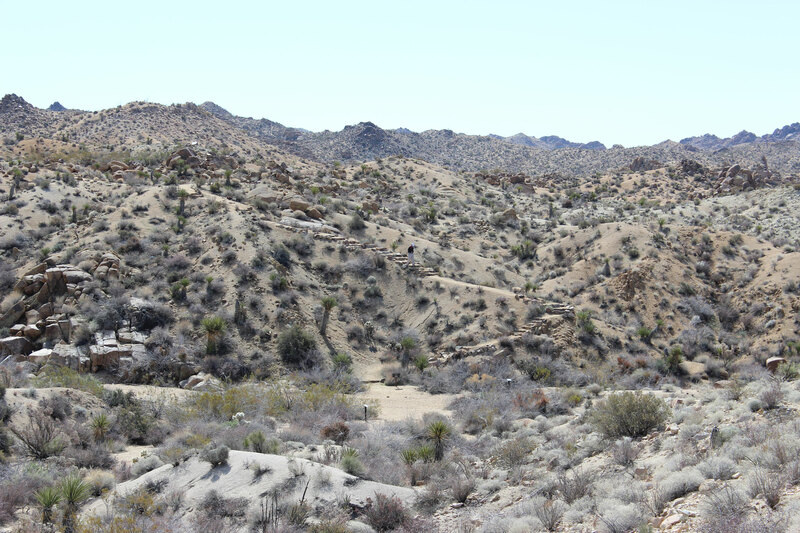 To get to Lost Palms Oasis, you will need to scramble down into Lost Palms Canyon. While there is a trail, it’s very steep with loose gravel in places, so take your time and watch your footing. But it’s worth it. 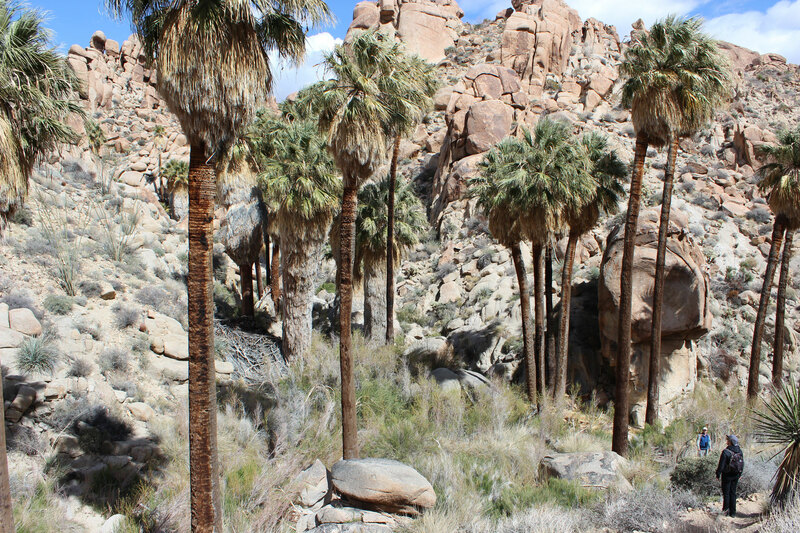 At the bottom, you will find yourself standing in the largest grove of fan palms in the park. [Photo] Be sure to look up at the cliffs near the oasis where there are rumored to be bighorn elk sightings (I didn’t see any on my visit, though). 7. 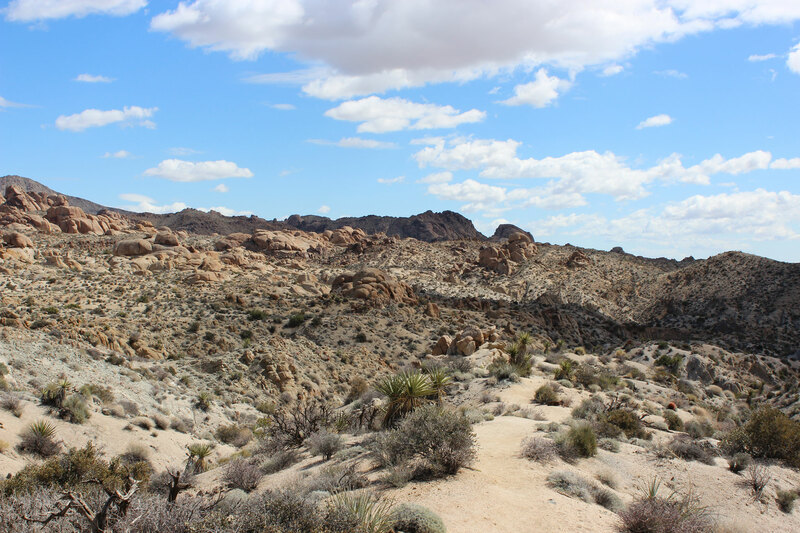 After hiking back out of the canyon, you’ll start your return trip back along Lost Palms Oasis Trail. 8. 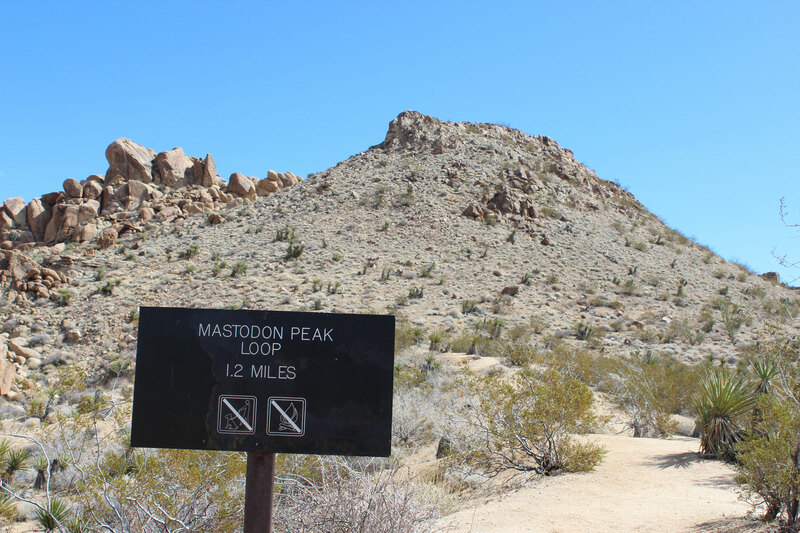 When you get to the Mastodon Peak Loop trail, make a right and head for the peak. 10. 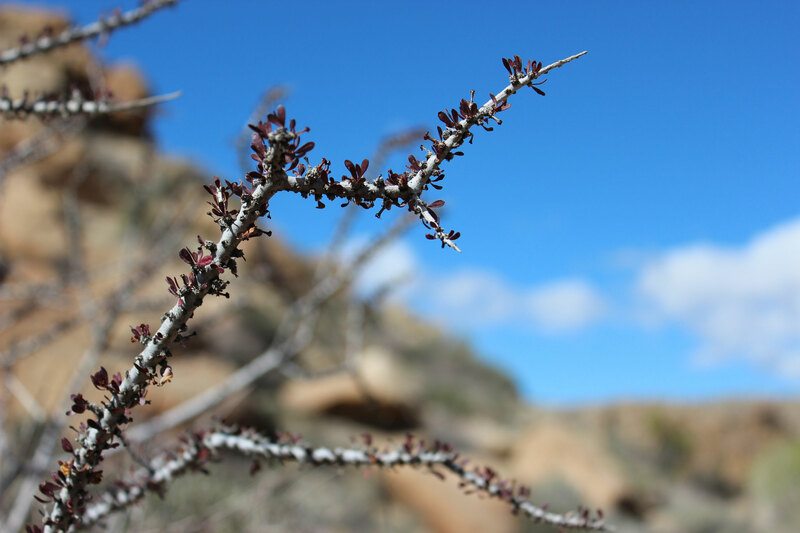 After descending from Mastodon Peak, go back to the Mastodon Loop Trail and continue on it to the north. 11. 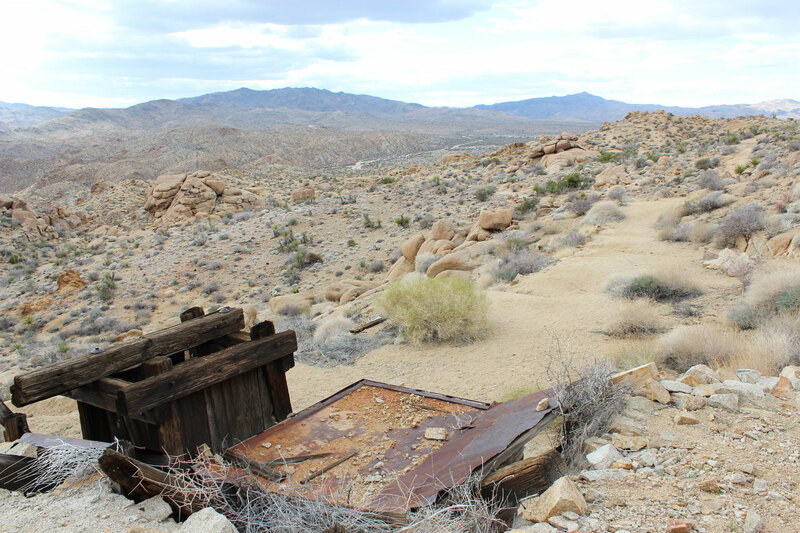 You’ll pass by the old Mastodon Mine before closing the loop and taking the turnoff back to Cottonwood Campground. 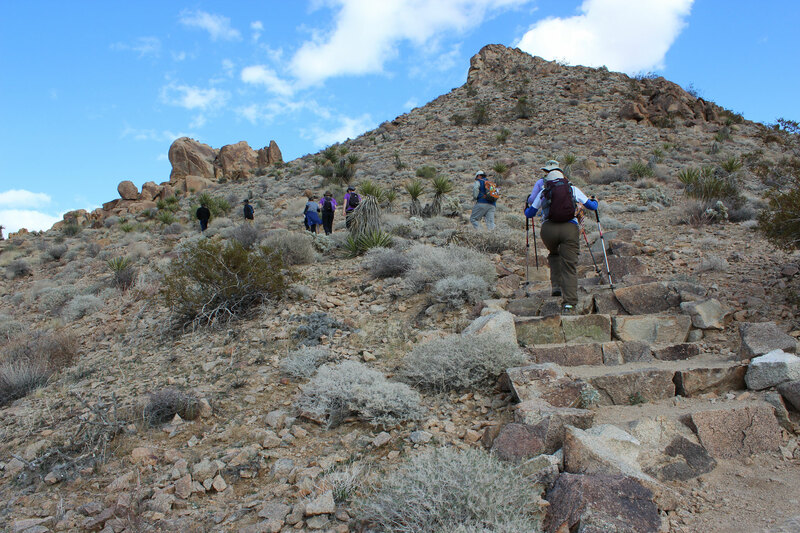 In terms of difficulty, this hike is for the most part moderate with two strenuous rock scrambles down to the Lost Palms Oasis and up to the top of Mastodon Peak. 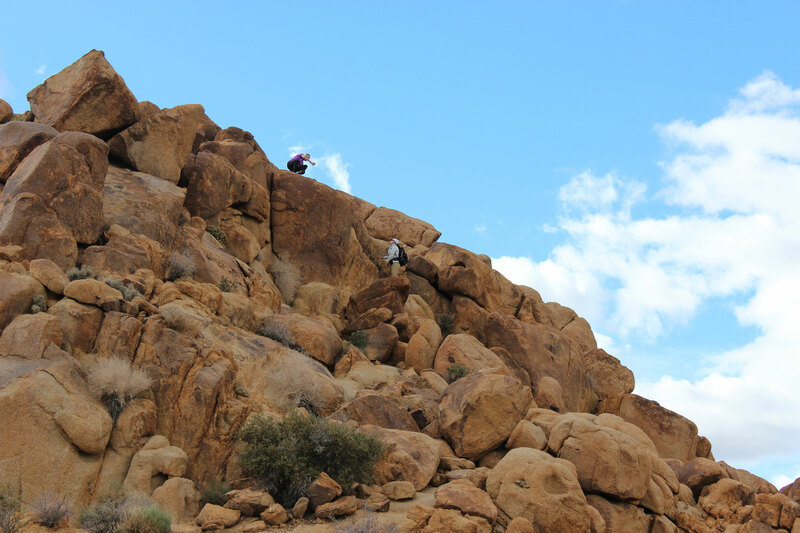 If you aren’t sure how you feel about scrambling, both of these parts are optional. You’ll get to see both the peak and the oasis from the edge of the scramble instead. 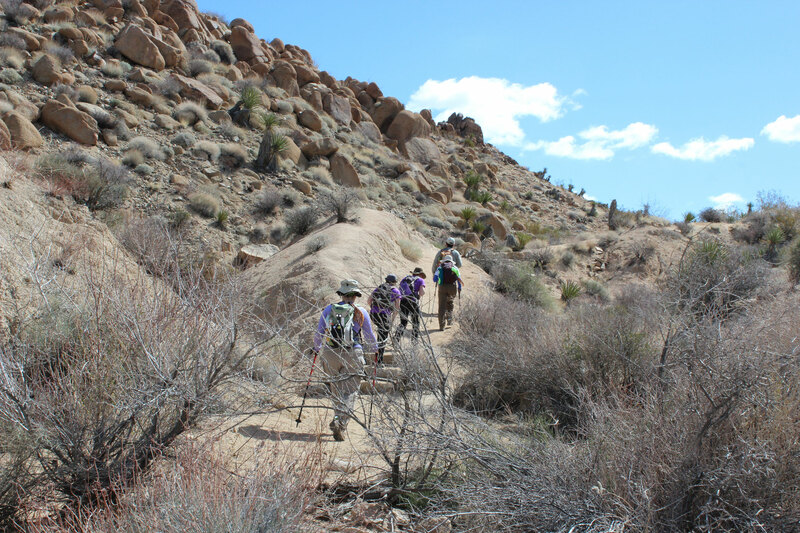 If you are looking for a shorter day hike, there are two obvious variations. Start at Cottonwood Spring: If you continue driving past the Cottonwood Campground turnoff you’ll get to the Cottonwood Spring parking lot and trailhead. 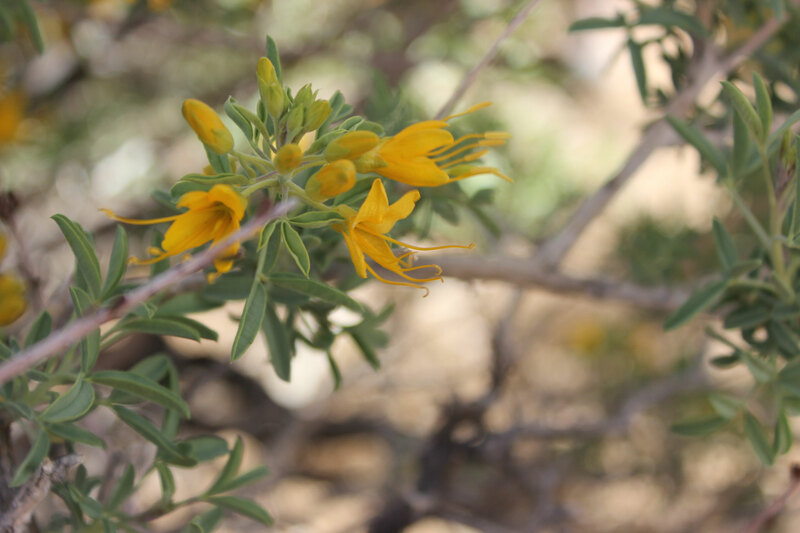 By starting your hike here, you can cut about a mile from the overall hike and still see all the sites, including the peak and both oases. See this map for reference on the two starting points. 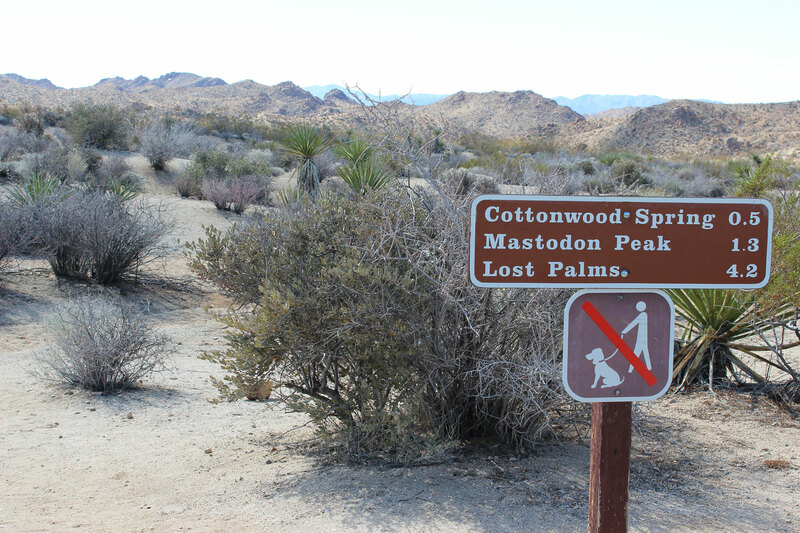 Cottonwood Spring and Mastodon Peak Loop: For a much shorter day hike, you can skip Lost Palms Oasis and do a short loop through Cottonwood Spring Oasis, up to Mastodon Peak, past Mastodon Mine and back. 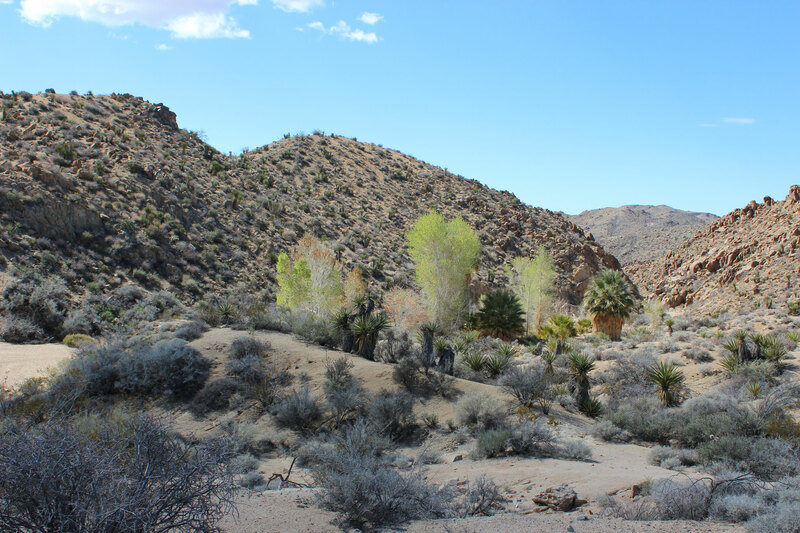 If you start at Cottonwood Spring Campground this would be about a 4-mile hike, or a 3-mile hike from the Cottonwood Spring trailhead. 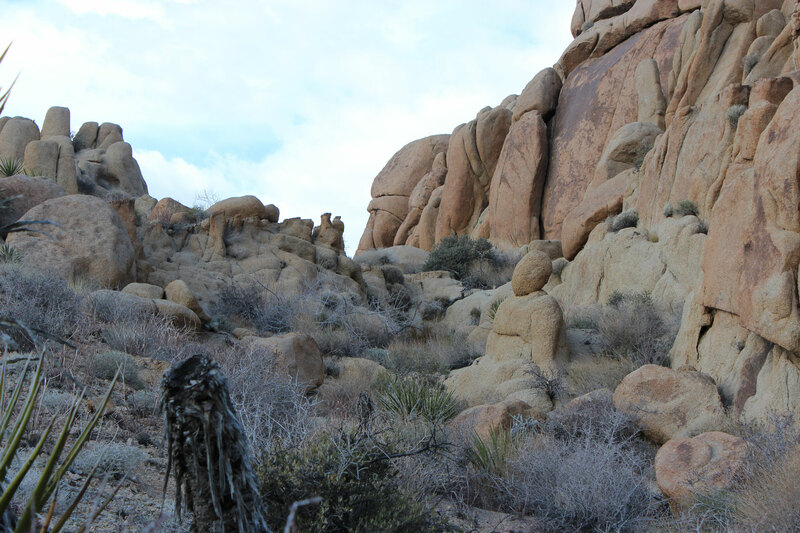 The majority of the sights to see in Joshua Tree, if you are looking at an overall park map, are in the northern part of the park. 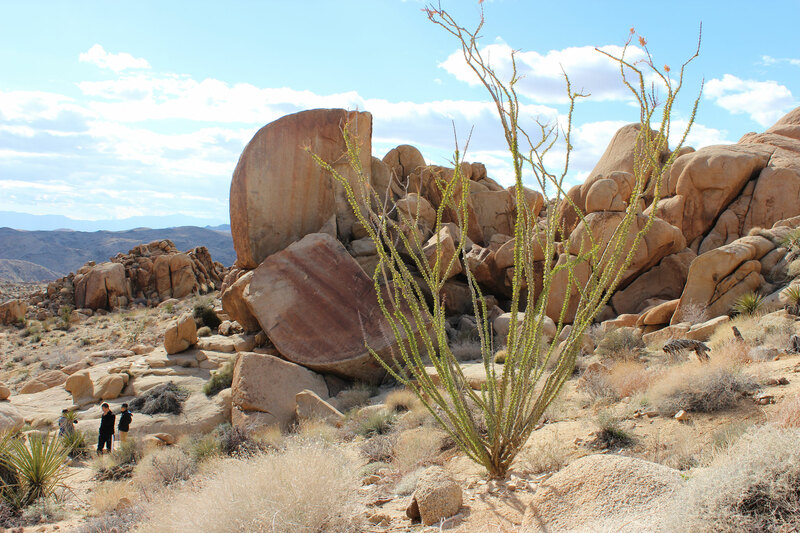 A common place for folks visiting Joshua Tree National Park to overnight is Twentynine Palms, CA just outside the north park entrance. 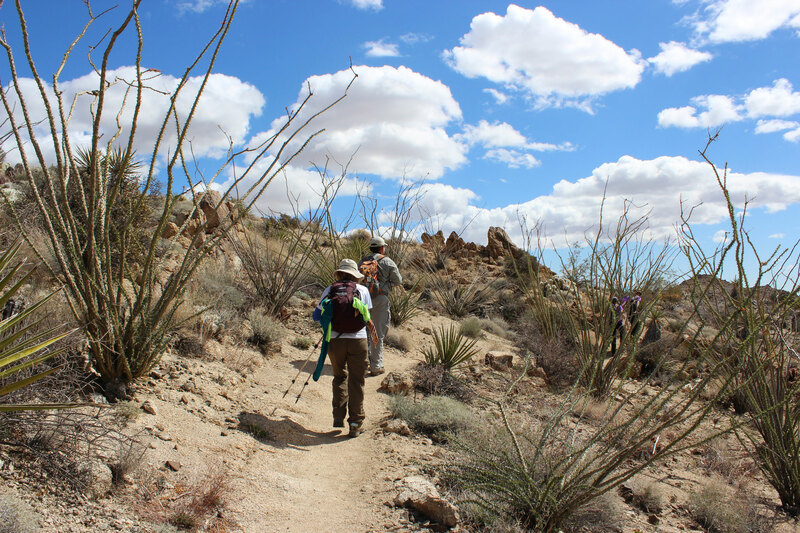 If you happen to be staying up near that end of the park, be sure to allow at least an hour to drive down to the trailhead for this particular hike and give yourself time to stop at the Cholla Cactus Garden along the way with its quarter-mile loop trail. 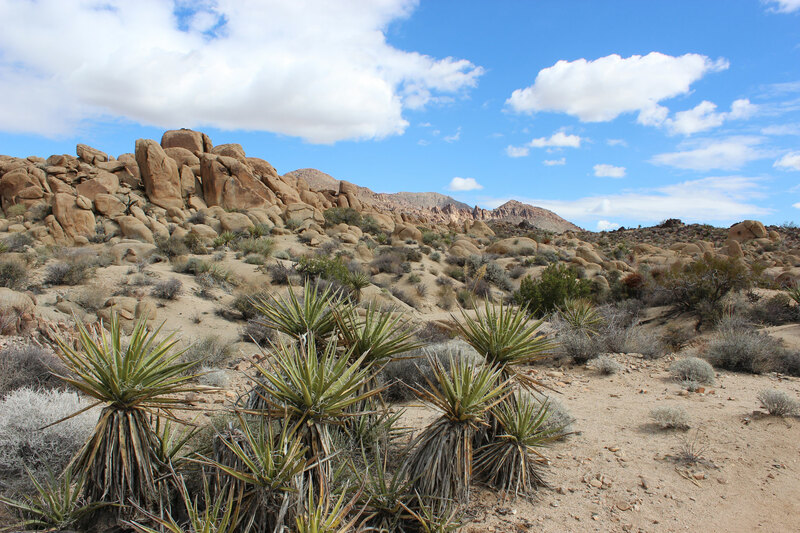 You’ll also see a lot of the park’s namesake Joshua trees as you drive from the north entrance to the trailhead. At the first major intersection, turn left following the signs for Cottonwood Spring. At this point you’ll be on Pinto Basin Road/El Dorado Mine Road according to Google maps. At the Cottonwood Visitor Center make a left and continue past the visitor center. Follow the signs for the campground, making a left to park at Cottonwood Campground. At the Key’s View intersection, make a left to continue on the main road. Follow the entrance road (Cottonwood spring Road). At the Cottonwood Visitor Center make a right and continue past the visitor center.